Keene Building Products announced the introduction of the newest member to its drainage and building envelope product family of products; DRIWALL MEMBRANE. DRIWALL MEMBRANE is a self-adhering flashing and waterproofing membrane that provides a superior air and vapor barrier with excellent adhesion for full wall and flashing applications. 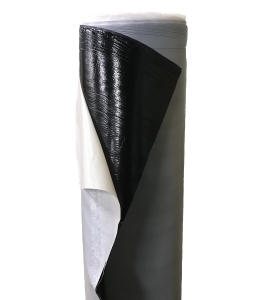 It easily adheres to virtually all substraights including concrete, galvanized metal, steel, plywood, OSB and gypsum allowing it to deliver outstanding protection from moisture and air in even the most challenging applications.